Mister Maker is a children's arts and crafts TV program airing on CBeebies, BBC One and BBC Two, on Discovery Familia network in the United States / Latin America, and on ABC2 in Australia. Mister Maker, played by Phil Gallagher, encourages every child to be a confident artist by teaching them new art techniques, and by stimulating children’s personal and social growth through fun, play and experimentation. 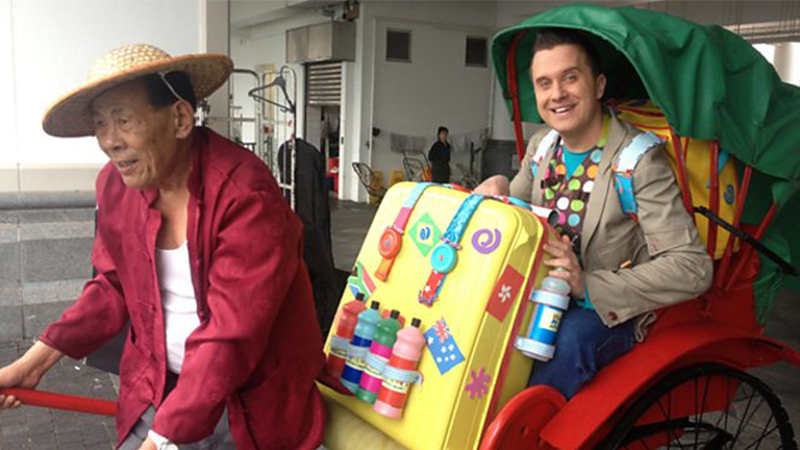 When Mister Maker contacted the Hong Kong Fixer for help, we were thrilled to provide him the most amazing locations and the best crew in town. We had a complete HK film crew and 3 synchronized cameras filming Mister Maker for one week here, we built up a fantastic set with our Art crew, and we even organized an arts and crafts session in the studio of Hong Kong famous contemporary artist Kacey Wong!